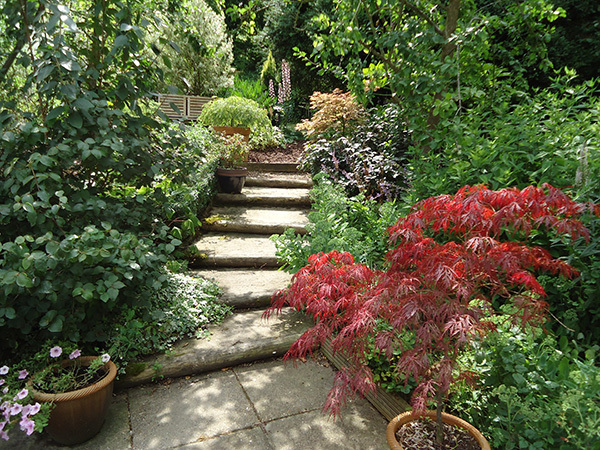 As part of the wide ranging nature of the work involved in ‘Consultancy’, there are occasions when the need to locate and install a new Head or Senior Gardener into a garden or estate becomes an essential part of a project brief, without drawing undue attention to the vacancy or its’ location. There may be many reasons for the requirement – perhaps a new owner recently moved to this country and not wishing to become involved in seeking out staff to run the garden, or a new build/new garden in need of a suitable person to maintain and manage a complex site, or perhaps a need for privacy and an unwillingness to engage in public announcements that such a position exists. Alan Sargent has a unique ‘niche’ in the world of horticulture, and gardening in particular. Having spent nearly half a century building and maintaining gardens, predominantly high end properties, and being extremely active within the industry, holding various offices in Societies, Guilds and Associations, some for over forty years, he has a wide and deep knowledge of its’ artisans. His knowledge and understanding, not only of the requirements of the owner and demands of the site, but which specific ‘type’ of senior gardener will be a natural fit for the job, provides a strong foundation and pool of talent in which to locate, interview and offer for appointment a suitable candidate. Occasionally, a suitable person may be found without the requirement for advertising, either through word of mouth or social media e.g. LinkedIn or a private Trade forum (no names or details of the owner are disclosed) and the position is filled without any public awareness. Alan will attend the site, and hold an in-depth interview with the owner/s to establish the precise nature of the job and specific requirements of the family/client including security screening and other tasks to be performed. Other aspects may be the type of accommodation offered (if any), together with any additional benefits. This information is packaged into a job advertisement (wording agreed with the owners prior to publication) and a marketing strategy including costs and venues/media is set in motion. The advertisements are written in a style to suit the site – either aimed at ‘commercial’ or ‘domestic’ gardeners, with required attributes clearly stated. Sometimes the site and name of the owner/client are made known (e.g. Public School, Estate or Country House) or simply the name of the nearest town or village. Deadlines for application are given, together with details of the method of applying. These may require candidates to send their details to (say) the ‘Estate Director’ or ‘The Bursar’. For private owners however, or those wishing for privacy, the candidates will be invited to send their applications to Alan Sargent at their Petworth address, and interviews arranged at a neutral location – perhaps Wisley Gardens, Kew Gardens or a suitable Village Hall – somewhere away from the site that candidates can easily reach, and interviews may be conducted in a relaxed and informal setting without distraction. Only once shortlisted and thoroughly vetted, two or three individuals will be invited to visit the garden and meet with the owners. The whole project, from start to finish, usually involves four days’ work; from initial site visit/owner interview, creating the advertisements, sifting through applications, conducting interviews and introducing the candidates to the site. Alan Sargent is not an Employment Agency, and we only accept commissions to locate and appoint senior staff, on recommendation by third parties (or as part of a general site consultancy operation). Alan’s unique book published in September 2017 – Personal observations – employing a Head Gardener or Gardens Manager – is the first and only book on recruiting senior staff. Rates are variable dependent on distance and number of visits. No charge is made for mileage or travel. No charge is made for overnight accommodation. Site visits are limited to mainland UK. All other locations are subject to individual quotations. All expenses reference advertising and venue hire are charged at cost. Day Rates from £350.00 including travel and office time, with no disbursements. Half Day Rates from £200.00 as above.